I started blogging eight years ago. Wow! Here are the two projects I finished for Christmas presents. 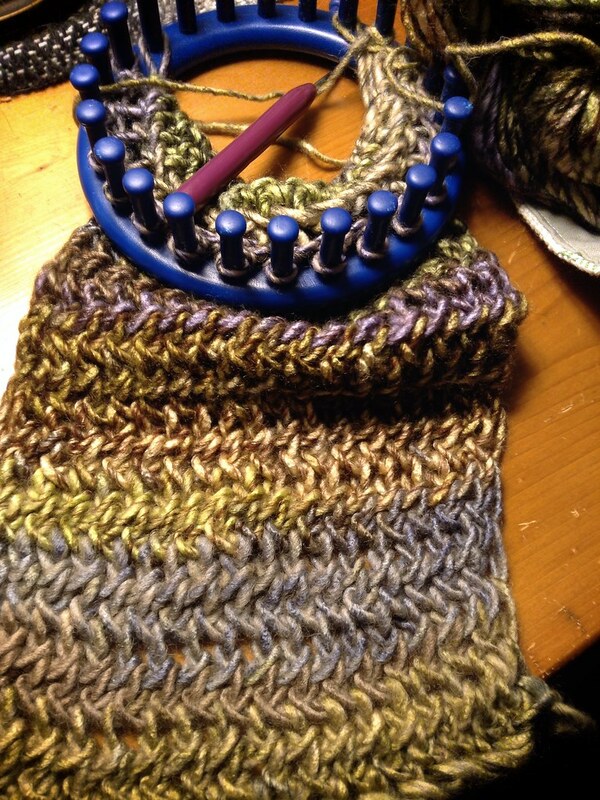 The first is a simple ribbed scarf made on the 10" AKB. 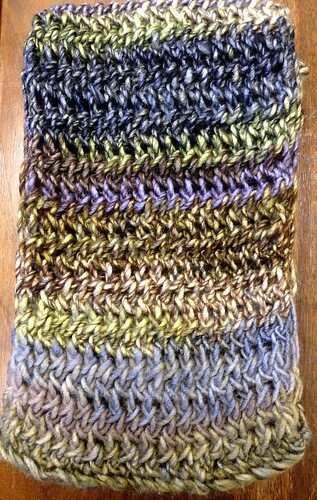 I used Cascade Vintage yarn, about 1.5 skeins. The entire project went fairly quick since there aren't any tricky patterns to follow, just a ribbed wrapping. I used three washers as spacers on the board to keep the stitches a little snug. After it was finished, I hand washed and blocked it, and the scarf "grew" about half a foot, which was just what I hoped. The second project was a shawl, made with a worsted weight, hand dyed wool/bamboo blend. I had purchased about 600 yards and used most of it. 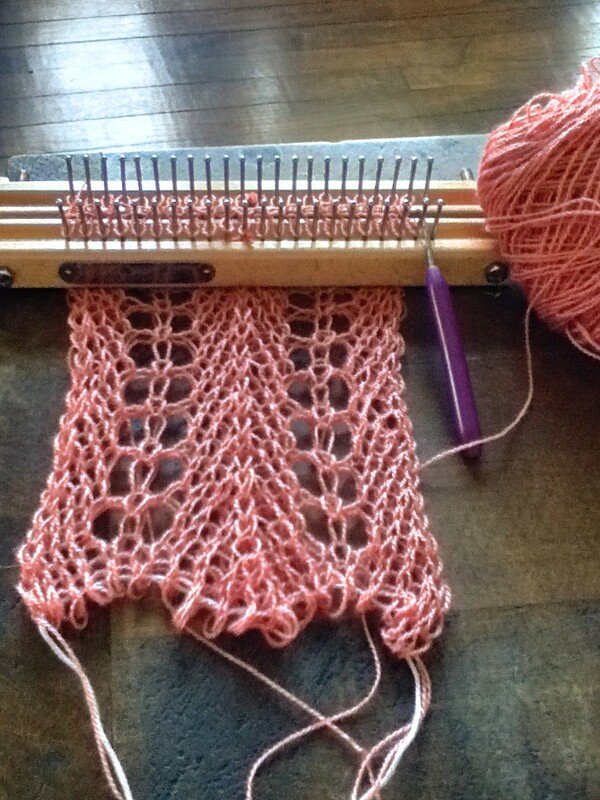 I followed the pattern for Faith Schmidt's Lacey Scarf pattern, found on the AKB site, and the 28" board. I used 51 pegs and repeated the pattern five times. For this shawl, I put the spacers at the 1" width, and I knitted two sides, then sewed them together. 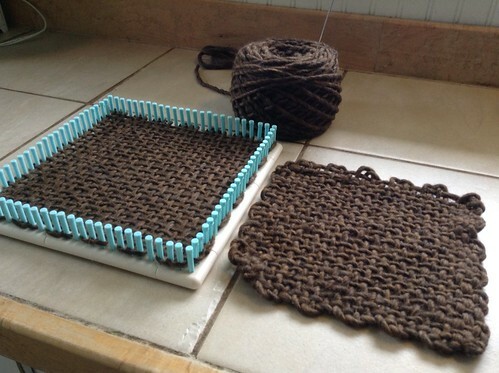 If I had to do this over, I would shrink the width to 41 pegs, make it one piece, and add an additional 6" or so. I did block it with an iron and spritzes of water from a spray bottle. I didn't want to tackle washing and blocking it so close to Christmas in case I had a disaster on my hands. It was fun to make projects with these boards. 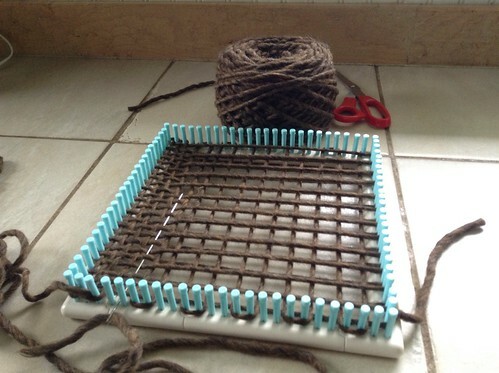 I've already started a third project, this time for me.